Here is the trailer. I will include the link and the full movie at the bottom of the page. Trinitarian Bible Society (T.B.S.) 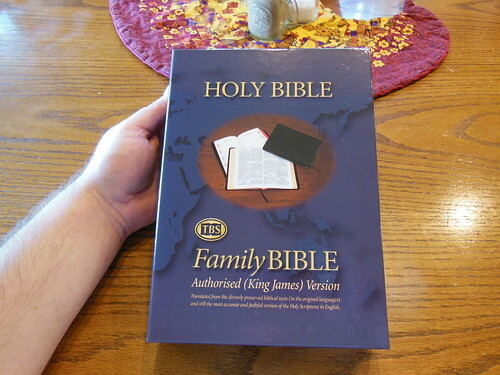 was kind enough to send me a copy of their Family Bible in KJV translation for review. As usual it was packed very well, and arrived in perfect shape. 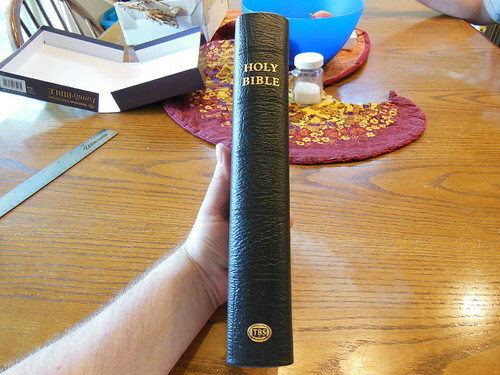 This Bible comes in a clamshell type retail box. It should be retained for storage. T.B.S. as usual has been great to deal with. 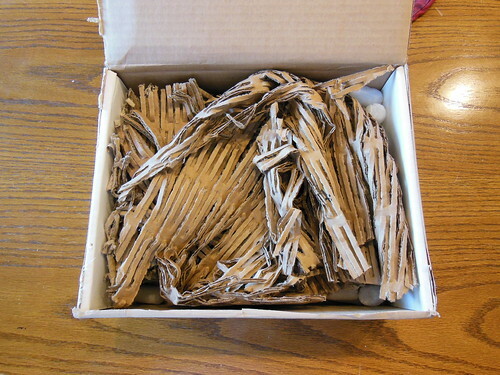 They always package their Bibles well, and are nice to correspond with. I gotta hand it to them, they have been pretty consistent. 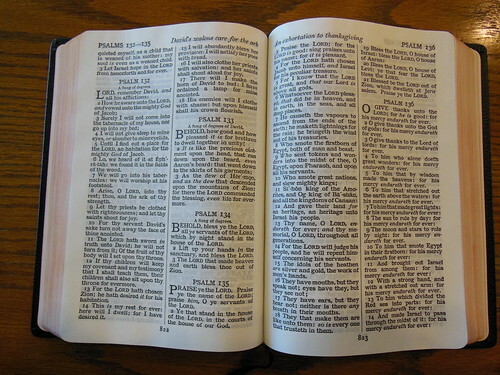 The Family Bible is a Cambridge layout of their large print text Bible. L.E.G.O. 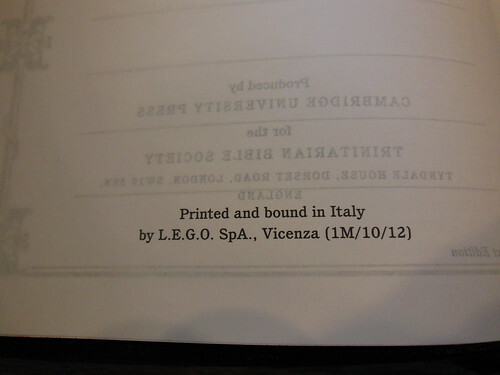 SpA (LEGATORIA EDITORIALE GIOVANNI OLIVOTTO) of Vicenza Italy printed and bound this Bible. They did a fine job. I have seen a few Bibles from them. They seem uniformly consistent in quality. 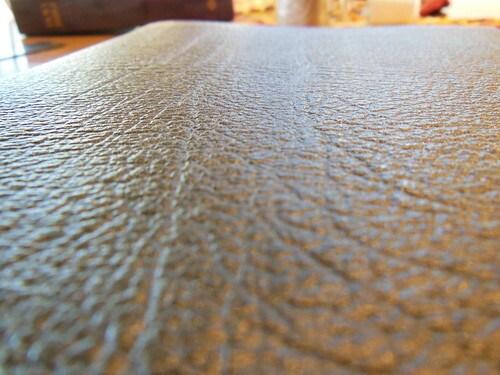 The cover is black calfskin leather. 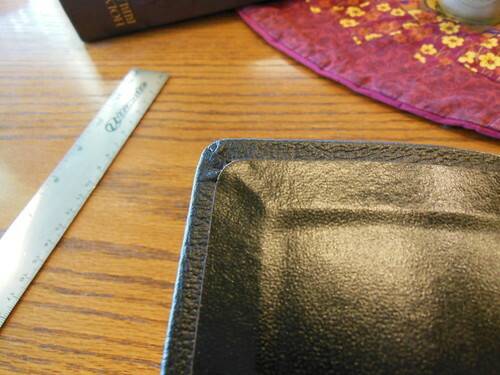 It has a pronounced grain and is comparable to the calfsplit leather covers on Cambridge Bibles. It is durable and provides a good sturdy exterior to hold on to. 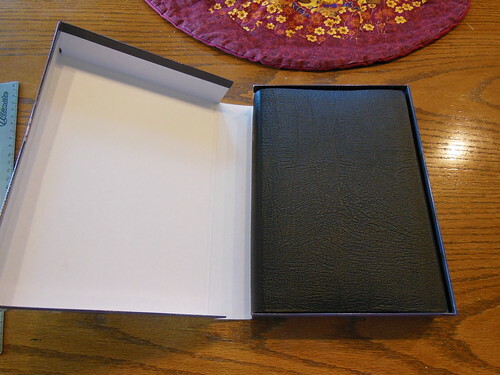 This is a case bound Bible with a liner that matches the black color of the cover. 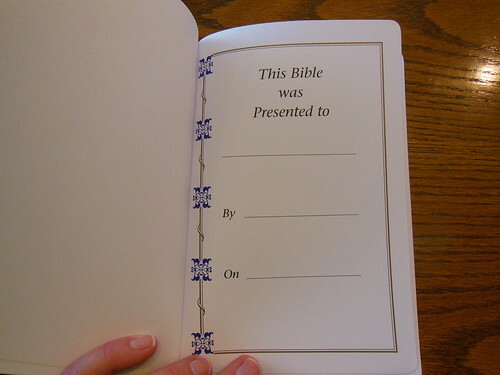 The spine is decorated with the words, “Holy Bible” and the TBS logo in gold colored hot stamping. 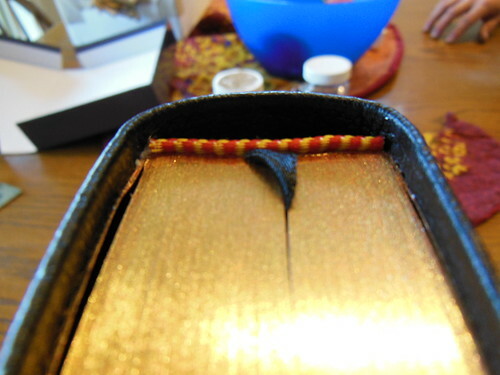 The page edges are art gilt. This means there is a red color under the gold color. 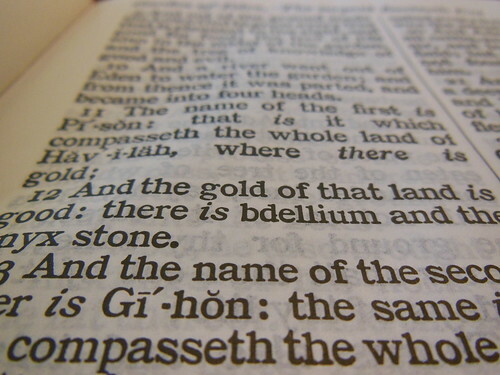 When the Bible is closed the page edges present a gold appearance. When the pages are shifted, like when it is opened the red color is visible. There is one, black ribbon marker. I like to see at least two ribbon markers. The spine is sewn to ensure durability and flexibility. 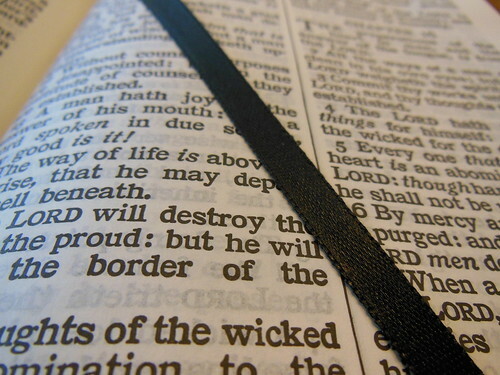 A sewn spine should be a prerequisite for a Bible binding. There are decorative head and tail bands in the Cambridge red and gold. This is a double column, verse format, black letter edition, with self-pronouncing text. The paper is opaque and strong. A 10 pt. font is utilized. It is bold and well inked. The text stands out well and contrasts with the paper nicely. 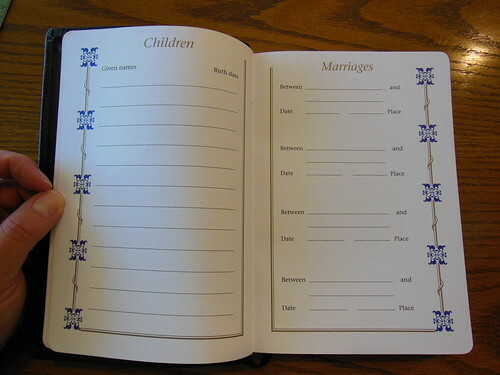 This Bible is called a Family Bible because of the records pages in the front. 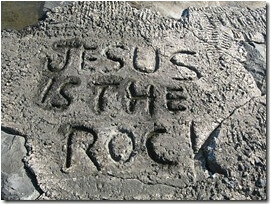 Back in the old days before all of the government interference in our lives, people used to keep their records in their Bibles. Since then, the practice has fallen out of popularity. People have been more than willing to accept the government forms and records. I have a feeling this might change in the near future. As the government becomes more intrusive. 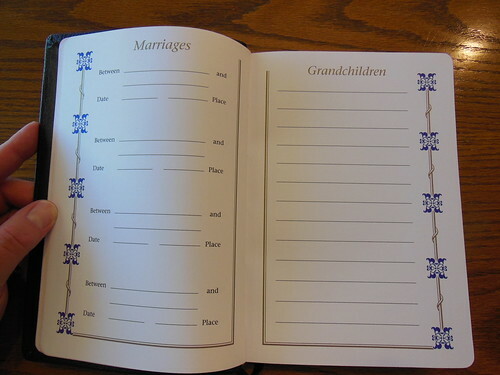 The records pages are from Cambridge, and are printed on a sturdy card paper. 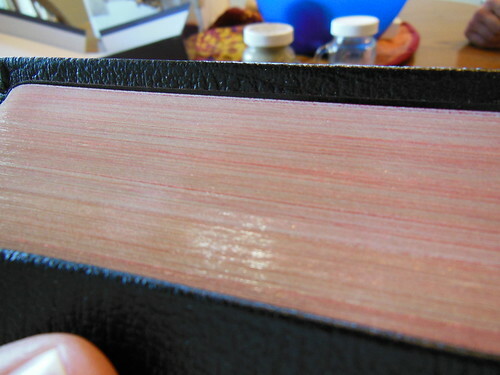 To sum things up, I was pretty impressed with how sturdy this Bible feels. I was also impressed with the good looks of this Bible for the price. It is just under $100.00 dollars and is worth the money. 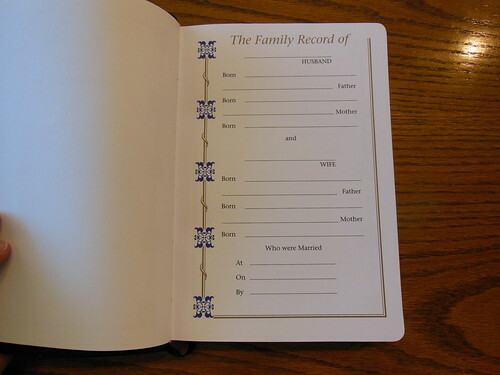 Not only does it give you a great place to record your family history, it also would make a terrific wedding gift. 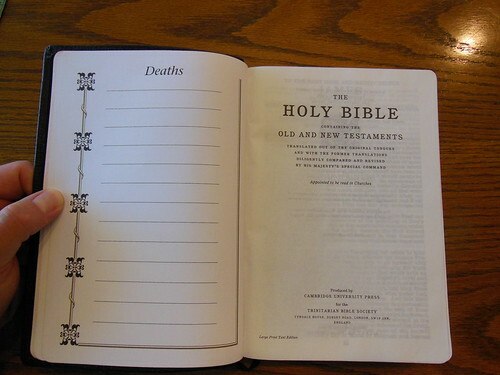 If you are in the market for a family Bible or if you need a large print text Bible this would fit the bill nicely. Give T.B.S. a try if you haven’t already. They have been one of the best organizations I’ve dealt with. Keep up the good work T.B.S. I was curious when I saw the tweet in my feed. It said, “Equality? => Feminist NYC Pharmacy Charges Men More With ‘Man Tax'” I was surprised because they are charging men 7% more than women as a, “man tax.” Can this even be legal? Men probably aren’t even complaining to anyone. Most of them are just voting with their dollars by going to another pharmacy.